OMLpatches.com is the ONLY company that makes patches this way. It is the only way we can offer you true custom patches - you can change thread colors on stock patches, you can change the size and of course you can pick whatever camo backgrounds that you want for your patches. You can't do that with any other company - they have 1000's of patches made and sitting on the shelf...sure you can get maybe 4 different basic color sets - OMLpatches.com can give you 18+ different backgrounds, many thread colors and 10 different merrow colors. That's thousands of different ways to customize your patch - and we also don't do minimums on patches- you can take a "stock" patch, customize it, and order ONE. Yes, just one, not 50. Get exactly what you need, nothing more. 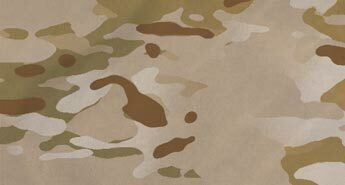 We have the largest selection of background camos and solid colors - all heavy duty fabrics or ripstop fabrics. Beware of the other companies that say they have camo backgrounds - it is usually a cheaper version of the camo and will look terrible as your patches. 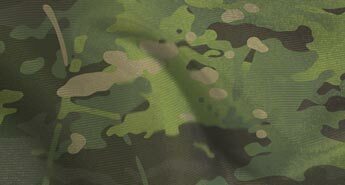 I saw a company that said "multicam camo background" on their show off page, and it looked like commercial multicam or closer to woodland-ish - and it had LIME GREEN in the fabric. I don't think that lime green is a subdued color... and i don't think anyone would be impressed with custom patches with lime green fabric. Our patches will match your uniform or tactical gear perfectly and look great on anything that you have them on! If you have any questions you need answered, try our online customer service or you can call our toll free number at 1-844-OML-BEST (1-844-665-2378) and we can help you with any questions you may have. See CONTACT US for more information.